Find Better Ideas, Faster ® with a custom crowdsourced health trend report, our PRO Dashboard and 80+ categories of premium trend reports. 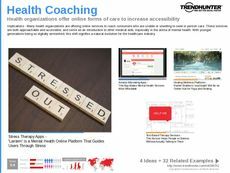 The Crowdsourced Health Trend Report exposes the recent movement of patients turning to medical apps for peer-to-peer advice, crowdsourced information and even crowdfunding. 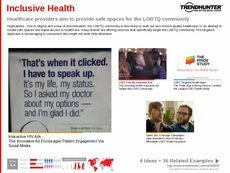 Rejecting the services of overcrowded public health systems, patients instead find support, knowledge and the resources to seek treatment in each other through crowdsourcing platforms and mobile apps. 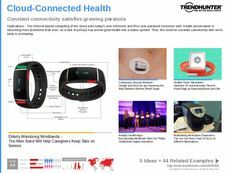 The Crowdsourced Health Trend Report is an invaluable source of information for product developers and marketers working with crowdsourced health products and services. Additionally, the Crowdsourced Health Trend Report is extremely important for professionals in the traditional medical industry, to whom crowdsourced health services present a source of competition as well as opportunity. 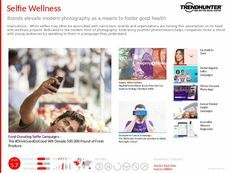 The Crowdsourced Health Trend Report is a comprehensive and detailed source of knowledge about this new, technologically advanced movement in the health and wellness industry.